Ripple is a hot news and hottest cryptocurrency since very long. Ripple is in news both in a positive and negative sense. One of the very big problems which Ripple XRP buyers face is buying Ripple XRP coin with their Credit card or debit card. Very limited platforms are available for Ripple. For most of the websites or exchanges, you first need to buy Bitcoin BTC or Ethereum and then convert it into Ripple which includes additional transactional cost. But with Changelly its quite easy and simple which might be the reason it is very popular in Ripple buyers. Changelly has solved Ripple problem of buying Ripple with the Credit card or Debit card in simple easy steps. 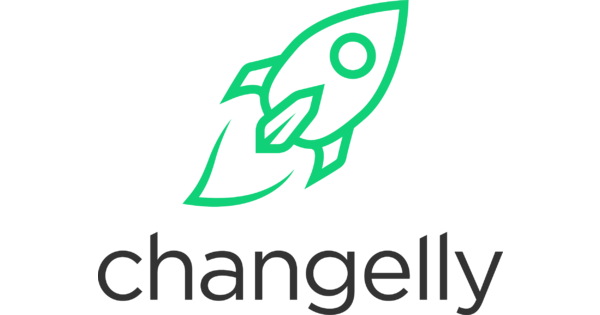 Changelly is one of the very popular cryptocurrency exchange in the crypto world. The website is specially designed for digital currencies or cryptocurrencies. It was not very popular at the beginning in 2013 but with the popularity of cryptocurrencies, Changelly also became popular. The reason for its popularity is that it allows buying cryptocurrencies using the credit card, debit card, and fiat currencies. People investing in ripple and other altcoins found interest in Changelly as they do not need to buy Bitcoin or Ethereum first and then convert it to Ripple. As changelly has introduced purchasing Ripple with Debit card and credit card, buying Ripple (XRP) has become easy for users now. It is as simple as purchasing some goods from an ecommerce website. With Changelly it doesn’t take more than few seconds to buy and store ripple in your Ripple (XRP) wallet. A registered Ripple wallet address. A ripple wallet is required to keep your Ripple coin safe and secure. It is very much important to select the best suitable ripple (XRP) wallet. Here is the list of Best ripple wallets we have created for you where you can set up your account for free. A registered and active account on Changelly. With a registered account only, you will be able to sell/purchase Ripple on Changelly. Let us see how we can set up the account on Changelly first. You can Register your account on the official website of Changelly (Changelly.com). Changelly is free for all the users. Anyone can register his/her account on Changelly for free. There is no fee or payment to set up and maintain the account however Changelly will charge a fee for your transaction on Changelly. To register your account, go to Changelly and click Join on the upper right corner. You would require your own email to register your account and communication purpose. Now that you have set up your account on Changelly, you are good to buy Ripple(XRP) coin using your debit card or credit card. Once you have your account registered and set up you can easily buy Ripple (XRP) or any other crypto from Changelly using your credit card or debit card. You can maintain your account free of cost without any additional cost. Once you login to Changelly you will see your account interface. The interface is easy and user-friendly. Click on buy crypto with credit card/ debit card. It will open a new window. Select currency from Dollar or Euro. Enter the amount you want to purchase ripple of. Select the coin XRP to buy ripple. You can also buy other coins in case you want to buy any other cryptocurrency you can choose that one from the drop-down list. Enter your Ripple(XRP) wallet address and destination tag. To keep ripple safe, you must need a safe and secure Ripple wallet. You can find the destination tag and Ripple wallet address from you ripple wallet. For more information about ripple XRP wallets, check our article: Best Ripple wallets. Now that you have entered all the information, you will get a confirmation page. All the details you selected will be there. Please double check your details before confirming your details. Once you have verified your details please click on confirm and make payment. Making payment in Changelly is an easy step. After you click on Confirm and make the payment you will get an option to click on “Pay with Visa or MasterCard". Here you can enter your card number, expiry date, and CVV number to initiate the payment. You will receive a 4-digit one-time password on your registered number with which you need to confirm your order. If in case you do not receive password on phone, the alternate option is to record a video holding your password or Identity card following instructions. Once you have entered this one-time password, it will process your transaction within 20 minutes and send Ripple XRP coins in your Ripple wallet. It is recommended to choose a fast and reliable Ripple wallet. If your chosen wallet is fast and secure you will receive your ripple coins faster. The first ever transaction from your account and wallet will take time but it will be normal for further transactions. Buying Ripple XRP directly from Credit card or debit card eliminates the extra cost of converting one coin to another. Changelly is very easy and user-friendly cryptocurrency exchange as compared to others. Coinmama is another such website from where you can buy Ripple with your credit card or debit card. Like Changelly it is very easy, fast and safe to keep account with. You must look for all the available options before confirming one. Happy trading! !